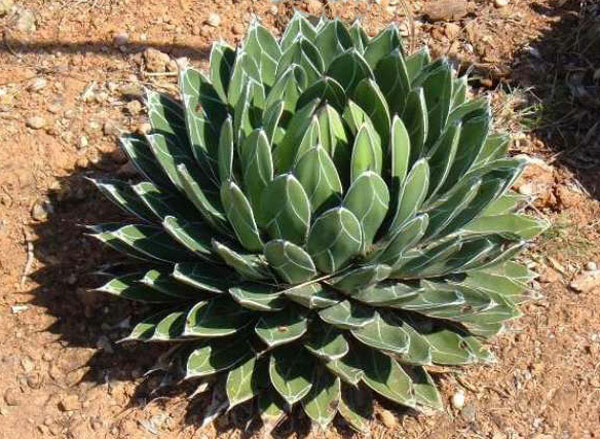 Some agave plants are the largest leaf succulents. The leaves grow in a giant rosette. Some of the very largest plants can have leaves of up to 2m long. Although they live for a long time – one type of agave is called the Century Plant – most agaves will only flower once before they die. The flowers are produced on long spikes – the very tallest ones can be as much as 12m tall. Agaves grow wild in America but they are often seen growing outside in other areas which are warm and dry, where they have been introduced by man. They are very tough, some of them will even survive outside in the UK, where it is often very wet. The picture shows a giant agave flowering in a botanic garden. How tall do you think that flower spike is? Most agaves grow into large plants, but there are some which remain small for many years. The very smallest types might only be 12-15cm across, and you might well be able to grow these at home.